Posted on February 6, 2015 | Comments Off on What are the odds? What do Keb Mo and I have in common? We both think Midwest Buy and Sell is one of the coolest guitar stores in the world. 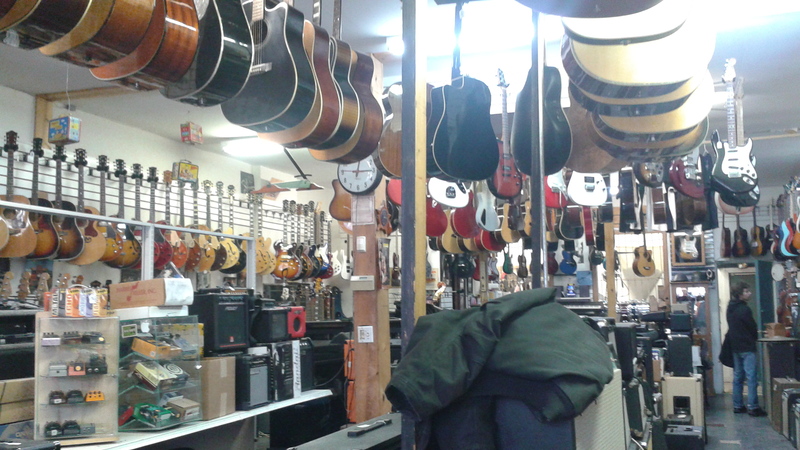 This postage stamp of a store is filled with guitars, amps and assorted other music equipment. If your’re driving by looking for it at 6019 W. Irving. A few doors west of Austin Avenue don’t blink, cause you’ll miss it! What was once a pawn store is now one of the coolest music places around. I have bought guitars, amps, monitors, etc. at great savings thanks to Wayne and his staff. It’s a no pressure place when purchasing an instrument and they never try to “sell” you. So you ask how I came by the fact that Keb Mo is a fan of Midwest Buy and Sell. Last Monday I happened to be in said store (buying guitar strings) when Wayne and a customer were talking about how Keb Mo hadn’t stopped by the store in awhile and how he used to always stop when he was in town. As I was working the upcoming Keb Mo show I informed them Keb Mo was going to be in town on Saturday. There was a bit more conversation and I thought nothing of it till I went with Missy (Keb Mo’s tour manager) to pick up Keb Mo at the mall. Upon picking up Keb I informed him how of the conversation I had earlier in the week. He mentioned he liked the store and asked how far it was. I said “20 minutes”. After a brief discussion with Missy he said “Let’s go!” with a big smile on his face. Which totally made my week. How often do you get to drive one of your favorite artists to your favorite guitar store? First time in my life that happened. Do yourself a favor. 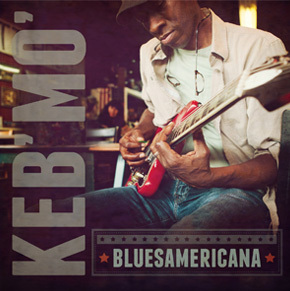 Go listen to Keb Mo ‘s new album cause it’s really good and then go buy it! Don’t forget to visit Midwest Buy and Sell either and tell them I sent ya! Keb Mo and Laurie Berkner? Posted on January 31, 2015 | Comments Off on Keb Mo and Laurie Berkner? That is how my weekend is looking. First Up is Keb Mo and I shall be the show runner which is a fancy word for gofer for the band. Most importantly this allows me to see the show backstage and if you haven’s seen him perform he’s pretty darn good. His new album is well worth a listen. A couple tickets are still available at the North Shore Center for Performing Arts Skokie website. Then Sunday Morning I shall be headed to see the superstar kindie singer Laurie Berkner with my son at the Park West. This will be the first concert I go to with just him. Up to now my daughter has been my partner in crime but it’s time to give the lad his due. We’re looking to have a lot of fun as Laurie is one of the best for the younger set. Comments Off on Keb Mo and Laurie Berkner?